Have a question for Ecolodge La Maison de la Nature? 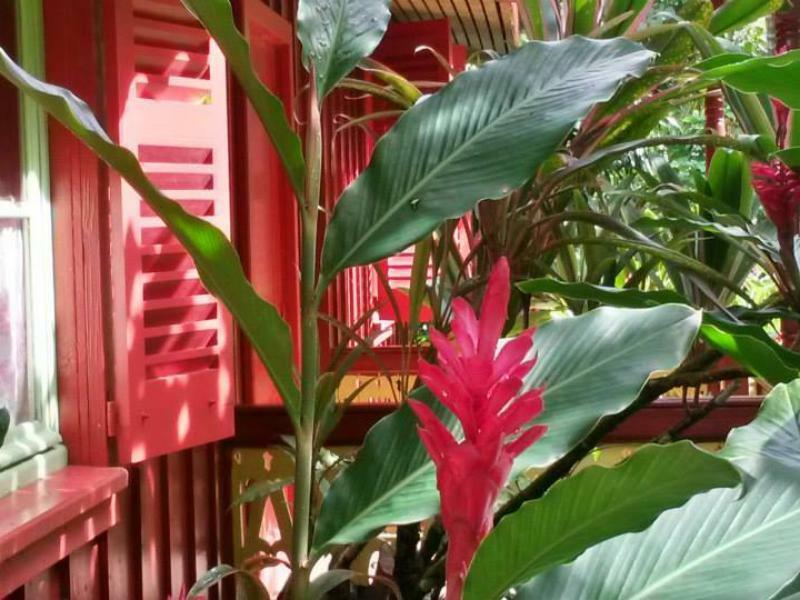 Whether you're a tourist or traveling on business, Ecolodge La Maison de la Nature is a great choice for accommodation when visiting Moorea Island. From here, guests can enjoy easy access to all that the lively city has to offer. This modern hotel is in the vicinity of popular city attractions such as Mount Tohivea, Opunohu Bay, Cook's Bay. The facilities and services provided by Ecolodge La Maison de la Nature ensure a pleasant stay for guests. The hotel provides car park, airport transfer, restaurant, tours, salon to ensure our guests the greatest comfort. Ecolodge La Maison de la Nature is home to 6 bedrooms. All are tastefully furnished and many even provide such comforts as non smoking rooms, blackout curtains, fan, shower, seating area. The hotel offers fantastic facilities, including kids club, garden, games room, to help you unwind after an action-packed day in the city. Ecolodge La Maison de la Nature is an ideal place of stay for travelers seeking charm, comfort and convenience in Moorea Island.